Well, I’m off to a great start this year. I spent a good part of Saturday finishing the unfinished journaling in my 2011 Project Life album and ordered the Oct/Nov/Dec prints to finish up the album. That’ll be next weekend’s project – to put those in and get the project wrapped up. I also began my 2012 Project Life album. I have been so inspired by all the PL posts I’ve read and photos of other people’s albums. 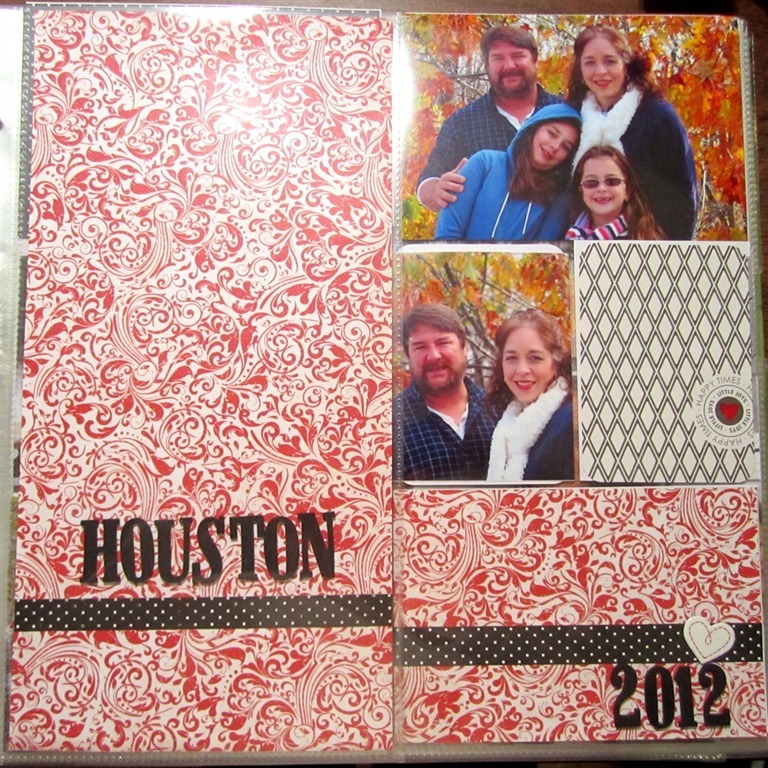 As I mentioned last week, I was a little undecided as to how I was going to approach this year’s scrapbooking. After reading the posts and looking at my past PL albums, I decided that was the way to go. So, I ordered the Clementine core kit and will use the leftover page protectors I have from the last two years until I run out of those. I also found a 12×12 three-ring album in my stash, so things are pretty well set at this point. 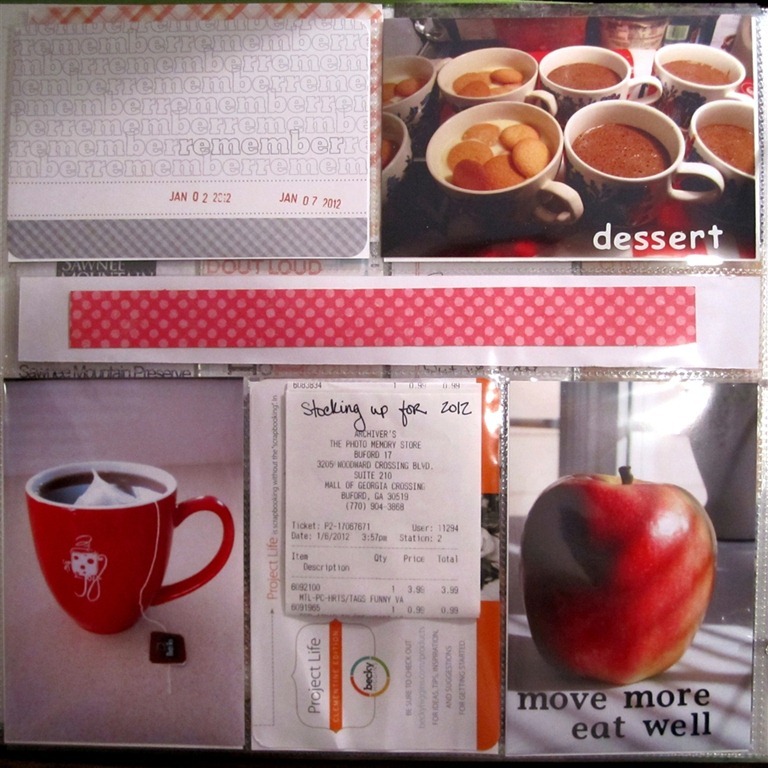 I decided that I’m going to approach this PL album as any other “regular” scrapbook. One of the blogs I read mentioned that she approaches each pocket on a pocket page as an individual mini scrapbook page – and that she works to coordinate the pockets on a page, but tries to be creative with each pocket. That had sparks going off in my brain. 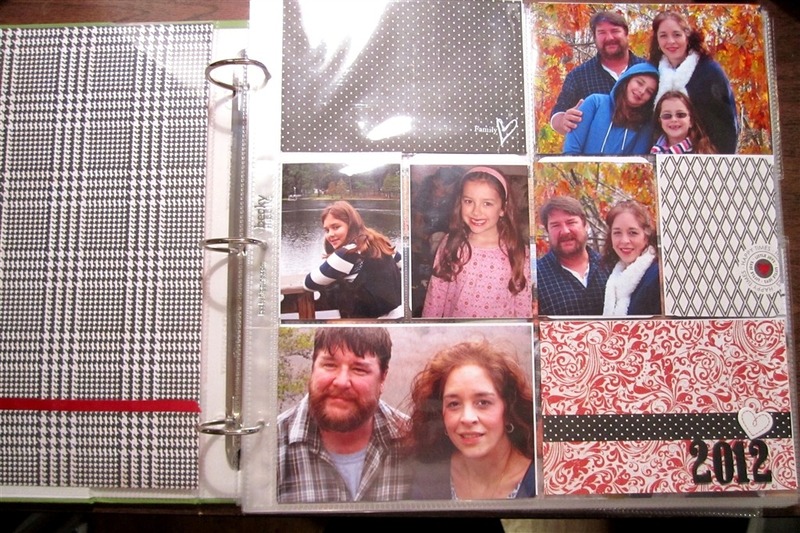 THAT is what I’ve been missing so far – I have felt like my albums were very basic – functional and served a purpose, but I’ve missed the creativity of “traditional” scrapbooking. So, I made a trip to Archiver’s on Friday with a friend and picked up a few extras to use to embellish and step outside the core PL kit. I’m also planning to use some of the overlays and templates that Ali Edwards & Cathy Zielske have on Designer Digitals to add a little more flair to my pages. I’m pleased with the results so far. And this first week of January warranted two two-page spreads because I wanted to tell the story of the hike. I may yet change it and put a 6×12 page in there so I have more room for journaling and photos as I felt like I was having to truncate my story to fit it into the 4×6 slot. But, overall, I am very pleased with what I’ve done so far. And very excited to get going. My plan is to print my photos at home (unless there is a great sale somewhere) and maybe use a little of the Project Life digital supplies, too. I’ll be sharing pages here (I hope) weekly – my plan is to work on the previous week’s pages each Saturday night. Like the photo of the thermometer. I still haven’t gotten one of those shots, though I’ve seen the idea before. Maybe today now that you’ve reminded me. Your layout is so pretty! Love your pics and your handwriting is beautiful! Love that you including non picture photos (like the thermometer!) Great job. Great pages! 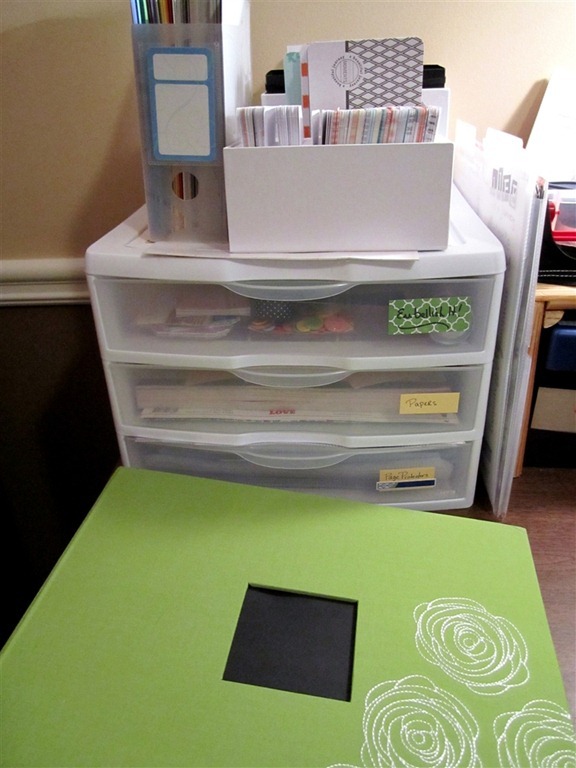 I love that you are approaching it as a regular scrapbook…it really give a great overall look to it and make it feel cohesive. Great pictures and I like your first page … AND I just bought some of those jillibean stickers too – adorable! Good luck this year! It’s going to be a great one! I wondered, when I bought them, if they had us PLer’s in mind when they made them!?! Lovely layout. I like that you are adding extras and making it your ‘own’. Looking forward to seeing your future layouts too. I love what you have done so far!! I really like the extra album that you are going to use!! Goes great with the kit. I like what you did with your cover page I have seen a few others like that and think it’s so neat! The extras you bought for your album look like a lot of fun as well and I look forward to seeing how you incorporate all of them!! 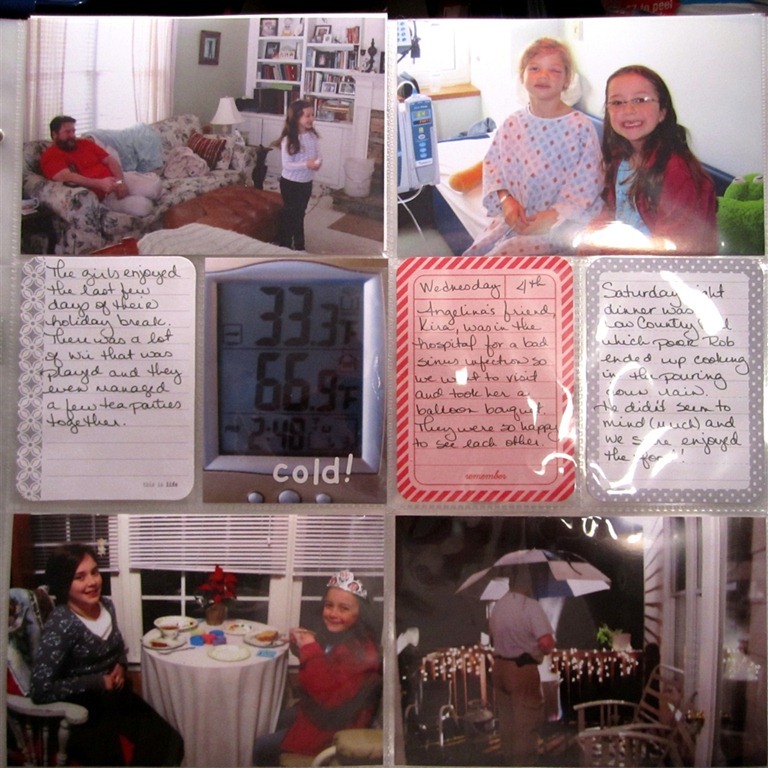 I printed over a hundred pictures for my project life album in December and I refuse to get that far behind in 2012. My goal is to hopefully print my pictures out every Friday and work on the weeks layout over the weekend! Hopefully I can stay up to date with that idea! I printed 110 pictures for Oct-Nov-Dec which still have to go in the 2011 album. I feel you! I’m hoping to stay up-to-date for 2012, too. Maybe doing this weekly post will help me with that! 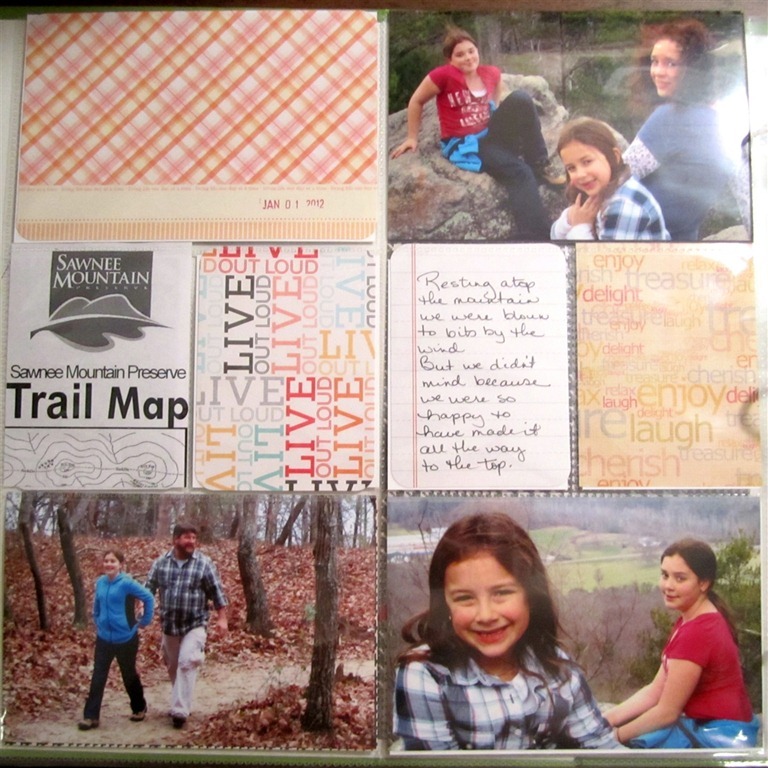 I like the idea that each pocket is a little mini scrapbook page. I wish that I could do all the fun and creative stuff. 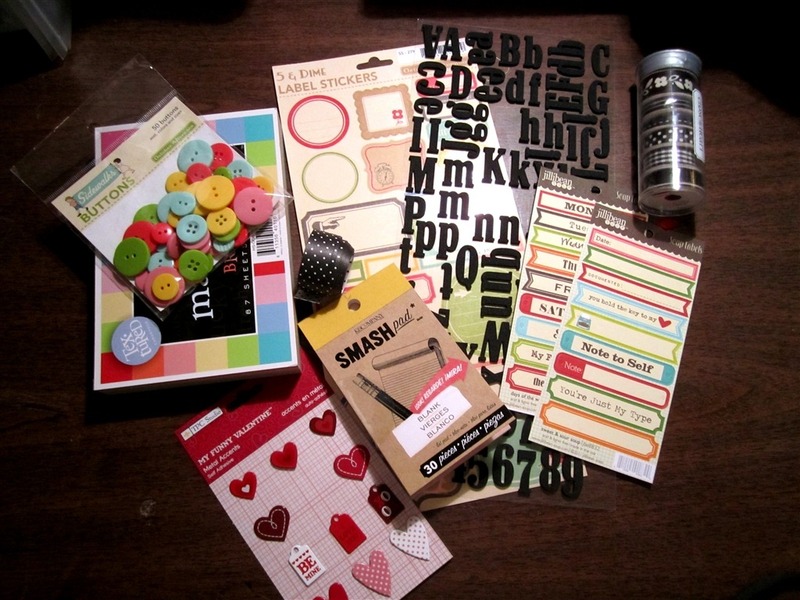 I feel like I can barely keep up with the basic kit much less add in all the fun little embellishments. I felt that way the first year I did the project. 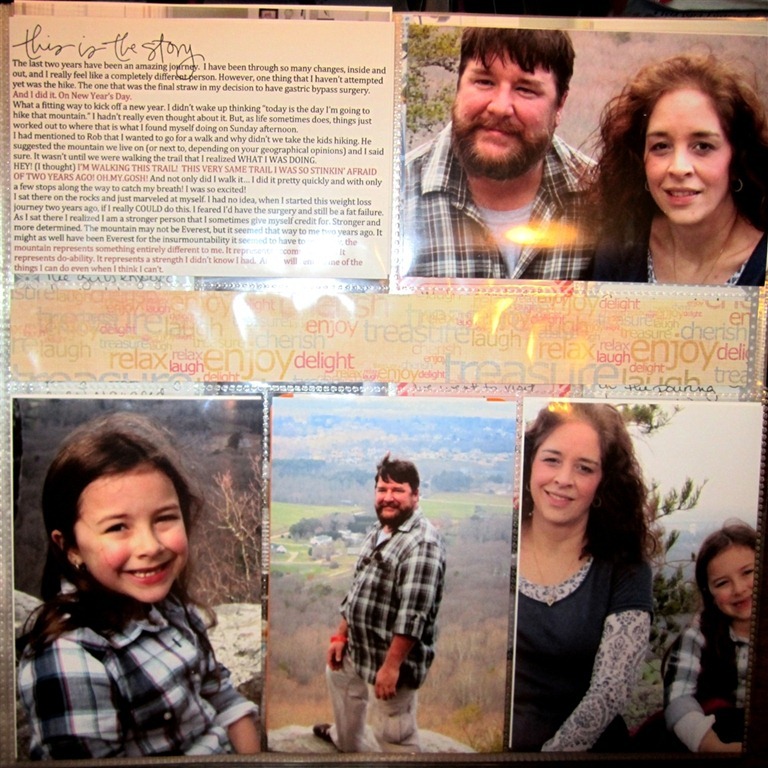 I was so overwhelmed at doing this new style of scrapbooking that it was all I could do to just get things in the page – anything fancy just paralyzed me. Which is funny because I would do all sorts of fancy “traditional” scrapbook pages without blinking an eye. Now, though, I’m bored with just using the kit. So this hybrid style is making me happy. I think the most important thing, though, is that you are capturing your family’s memories. That is what matters. They won’t care, 20 years from now, if you used eyelets or buttons or washi tape. They will be too busy reading the stories you wrote. So, don’t beat yourself up for what you’re not doing. Celebrate what you are!